The reality is, you should ONLY consider hiring a contractor that is fully insured vendor, and a fully insured contractor will usually never be the cheapest. Let’s talk a little more about why this is so important. What Does Licensed and Insured Mean? When you see advertising for remodelers, landscapers, painters and other service professionals, you often notice the words “licensed and insured” somewhere in the ad. These are actually very important terms you should be looking for when trying to find a contractor. And because there are costs involved in maintaining these credentials, vendors who have them will generally have to charge more to cover the costs of maintaining them. What licensing means. A license is a document, issued by your state or local government, that demonstrates a minimum level of competence on the part of a vendor. To obtain a license, the contractor may have to pass relevant tests, fill out detailed forms, obtain proper insurance and pay an application fee. What insured means. If you hire a contractor who lacks proper insurance, you may become liable for on-the-job injuries, property damage and other perils in connection to the project. If the contractor has appropriate insurance, the insurer assumes the covered risks, saving you money in the event of a claim. Why Should You Only Hire Insured Contractors? There are several reasons why only a fully licensed vendor, who has obtained the proper insurance, should complete your project. Liability for damages. If uninsured workers are injured while working on your project, you could be held responsible. If there is property damage to your home, your homeowners policy may pay, but there could even be exclusions where it will not. If you hire only insured contractors, who carry both general liability and worker’s compensation policies, you are protected from these risks. Contractor credibility. Licensing and insurance indicate that your contractor is legitimate and that he or she is in business for the long haul. It signals that they care about quality. Quality work. Licensing requires proper insurance as well as a minimum level of competence and a willingness to be held accountable for the work. If a licensed contractor fails to do the job correctly, you can report them and the contractor could lose his or her license under some circumstances. Lower costs in the long-term. Insured contractors may cost more at the time they do the work, but are usually cheaper after the fact. Why? First, an uninsured, unqualified contractor is more likely to make mistakes that have to be corrected later. Second, you will bear the cost of injuries or property damage if the contractor lacks adequate insurance. Protect your property value. If an unlicensed contractor fails to acquire a permit, and the work is not done to code, this fact must be disclosed to future homebuyers. Quality work done legally by a licensed vendor will also yield a greater return on investment when the time comes to sell your property. 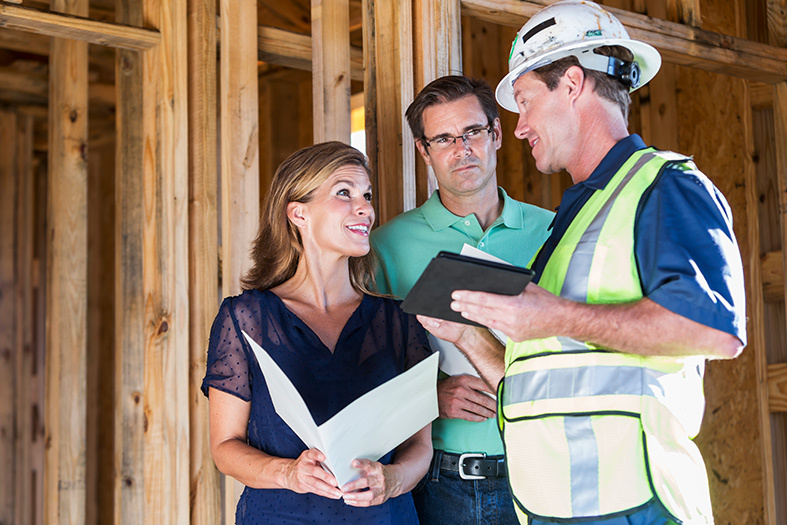 What Types of Insurance Should Your Contractor Have? Check with state and local websites before checking the credentials of contractors in your area. That’s because each jurisdiction has its own licensing and insurance requirements. Commercial general liability insurance. Your contractor should have at least $1 million per occurrence and $2 million aggregate. Workers compensation. The contractor should have the minimum required statutory coverage and employer’s liability limits of at least $500,000. Automobile liability insurance. Make sure the contractor has coverage of at least $1 million per accident. Commercial umbrella insurance. This is an added layer of protection that should be considered. The higher the limit, the better. Any qualified vendor will be happy to show you their proof of licensing and insurance. Make sure the vendor’s license isn’t suspended. Check for infractions such as unpermitted work or work not performed to code. Also, request that the contractor produce certificates of insurance. Ask to be designated as an “additional insured” on the contractor’s general liability policy. This gives you added protection in the event of damage arising from the contractor’s work. You may also ask for “hold harmless” language to be added to the policy. This means that the contractor agrees to defend and pay any claims brought against you in connection with his or her work. Do you have questions about hiring contractors or vendors with the proper insurance? Contact Pillar Insurance today. We’ll provide the information you need to make sure your vendor is protected — so you will be protected.